This is an edited version of remarks by James M. Dorsey at the launch in Islamabad on 30 January 2018 of ‘The Role of Madrassas: Assessing Parental Choice, Financial Pipelines and Recent Developments in Religious Education in Pakistan and Afghanistan,’ an extensive study by three Pakistani think tanks backed by the Danish Defense College. 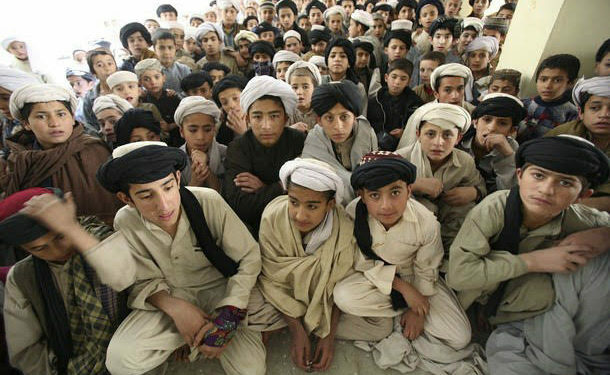 In many ways, the question whether madrassas or religious seminaries contribute to instability in Pakistan and Afghanistan goes far beyond an evaluation of the content of what students are taught and how they are being taught. In fact, it could be argued that the train has left the station and that there are no magic wands or simple administrative and regulatory fixes to address problems associated with madrassas. To make things worse, those problems are not restricted to madrassas; they also are prevalent in the public education system. Irrespective of which of the spectrum of estimates of the number of madrassas in Pakistan one accepts, fact of the matter is that many, if not the majority, of madrassas do not produce graduates who have learnt to think critically. Rote education produces the opposite in a 21st century world in which critical thinking is ever more important. Moreover, generations of graduates coupled with successive governments willing to play politics with religion and debilitating conflict have helped create a significant segment of Pakistani society that is ultra-conservative, intolerant, anti-pluralistic, and often supremacist. It is a segment that easily can be whipped up to adopt militant causes as recent protests as well as the popularity of militant groups among both Barelvis and Deobandis have demonstrated. Which raises the question of whether madrassas alleged links to militancy is the core issue, or only part of a far more fundamental issue: the fact that madrassas more often than not teach an ultra-conservative worldview that with a solid grounding and resonance in society is being reinforced and reproduced. What that means is that the problem is far greater than ensuring registration of madrassas or simply ensuring that include modern science alongside religious subjects in their syllabi. The magnitude of the problem is illustrated in a madrassa in the city of Jang that has a state-of-the-art computer lab. Access to the lab and computer lessons are voluntary, yet only a mere 16 percent of the school’s 300 students are interested or avail themselves of the opportunity in a world in which a baby’s first demand is an iPhone. Visits to other madrassas elsewhere in the country show that at times English lessons that are on the curriculum are just that. They exist on paper rather than in practice. The language classes that do exist often produce anything but English speakers or children with even a rudimentary knowledge of the language. The question of the context in which madrassas operate is also illustrated by the fact that foreign funding is not what keeps the bulk of the madrassas afloat. Foreign funding is no longer crucial. That is not surprising. Four decades after Gulf states, and to a lesser degree Iraq in the past, and Iran on the other side of the equation, poured huge amounts into ultra-conservative religious education, a world has been created that leads it own life, develops its own resources, and is no longer dependent on external funding and support. It’s the nature of the beast. Former Federal Secretary Tanseem Noorani asserted as much as recently as last year when he noted that the number of madrassas was increasing faster in rural areas of Pakistan than regular public schools. There is indeed little doubt that madrassas fill a gap in a country with a broken education system as well cater to a demand for a religious education. And there is no doubt that there are inside and outside of government valiant efforts to fix the system. Hundreds of madrassas have been closed because of links to militancy or other irregularities. But there is equally no doubt that inroads made by ultra-conservatism not only in segments of the public but also significant elements of the bureaucracy cast doubt on the degree to which fixing the system can succeed. There has been much debate and speculation about Saudi funding. The issue of Saudi funding has much to do with the broader issue of ultra-conservatism as a factor that pervades the discussion of madrassas and more broader trends in Pakistani society. Popular perception is that Saudi funding was focused on Wahhabism, the specific strand of Sunni Muslim ultra-conservatism prevalent in the kingdom. In fact, it was not, despite Saudi links and support to Wahhabi groups like Ahl-e-Hadith in Pakistan. Saudi funding and support focused on ultra-conservatism irrespective of what specific strand of Islam as long as it was anti-Shiite, anti-Ahmadi and anti-Iran. It was that broader focus that allowed the Saudis to, for example, support Deobandis, something that a singular focus on Wahhabism would have precluded. Not only was Saudi funding broader focused, it also was in a majority of cases hands off. In other words, a majority of Saudi-supported in Pakistan as elsewhere across the globe, were more often than not, not Saudi-managed nor was a Saudi anywhere in sight, even if textbooks, Qur’ans and other materials were Saudi-supplied. Moreover, official sources will never be comprehensive in documenting funding particularly from foreign sources. That is all the truer in countries where financial controls and their implementation is lax. In the case of Saudi funding of madrassas, this means that money flows are often not transparent and not necessarily recorded and when recorded not made available for scrutiny. As a result, tracking Saudi funding may never produce a comprehensive picture and will often rely on anecdotal evidence or unofficial documentation provided either by the donor or the recipient. No doubt, far less Saudi funding is available today, but that there is, yet, no indication that Crown Prince Mohammed bin Salman’s vague notion of a more moderate Islam means a restructuring of the kingdom’s funding targets. The effort to rewrite Saudi textbooks that are used in the kingdom itself could indicate that change is coming although the extent of that revision remains to be seen. Recent statements by the World Muslim League, a major vehicle of Saudi funding, about the need for inter-faith dialogue and recognition of the Holocaust point in that direction. Yet, the record of the first three years of the era of the Salmans, King Salman and his powerful son, Prince Mohammed, also has markers that would suggest the opposite. It may be that funding abroad will be more focused on what serves Saudi efforts to confront Iran, which would put Pakistan, with its borders with Iran and the Islamic world’s largest Shia minority, in the bull’s eye. It would also mean that moderation may be less evident in what the Saudis choose to support. Over the past two decades, repeated efforts have been made to regulate and reform madrassas even if implementation and impact has been lagging. That lag cannot simply be attributed to a lack of resources and/or capabilities. Reform depends on political will and is obstructed by resistance from powerful and entrenched ultra-conservative circles whose tentacles reach beyond the ulema and the administrators of madrassas. With other words, it is the fallout not only of Saudi and Gulf funding but of government and state policies that allowed ultra-conservatism along a broad spectrum to flourish in Pakistan. The issue here is not simply militancy, it is ultra-conservatism that is not by definition or necessarily politically militant. This is nowhere more evident than in the fact that the problem is not restricted to madrassas but is far more universal. The U.S. Commission on International Religious Freedom reported as recently as two years ago that Pakistani public school textbooks contained derogatory references to religious minorities. Addressing the issues at the core of Pakistan’s religious and public education system is going to take out-of-the-box thinking that devises ways of drawing in important segments of the ultra-conservative community rather than alienating them. A turn-around will only truly work if it has buy-in rather than projects a sense of imposition. For that to happen, government policy and the implementing bureaucracy will have to have a broad vision: one that initiates and manages a broad range of policies and processes that seek to foster values that are at odds with ultra-conservatism such as tolerance, pluralism, and freedom of expression rather than just pay lip service to them. It’s not clear that Pakistan has the political will for this, let alone that the building blocks for such policies are in place.